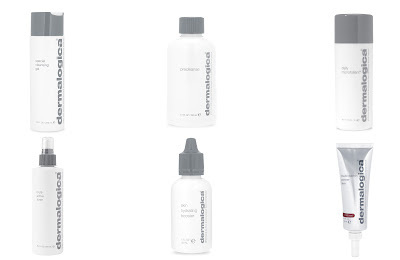 Once upon a time, I happened upon the skincare brand that is Dermalogica. Overnight, my skin seemed to become fresher and more rejuvenated, and I started getting more compliments on my youthful appearance. I found that my skin looked and felt better than it had before Dermalogica came into my life, and little by little, I kept adding products from the brand to my regular regimen. Before I knew it, Dermalogica had seamlessly taken over my medicine cabinet. This was about 7 years ago, and I haven't looked back since. Multi-Active Toner: A hydrating, refreshing facial spray. Read my full review here! Special Cleansing Gel: A foaming gel cleanser formulated with Calming Balm Mint and lavender extracts to soothe the skin. Watch my full video review here! Multivitamin Power Firm: Helps accelerate skin's natural repair process, improve elasticity and scavenge free radicals with Vitamins A, C and E.
This giveaway has a retail value of $273. To enter, use the Rafflecopter widget below. Good luck! The PreClense for sure! I have a bottle that's about to be finished, it's lasted me forever and I'd love another one, it's great! I would love the Daily Microfoliant to combat my acne. Love that it has salicyclic acid which I respond to very well. I'm really interested in trying the Precleanse. I've heard so much about cleansing oils lately but haven't taken the plunge yet. The Pre-cleanse. I use the Daily Micro Foliant and it works wonders. (Sorry if this is a duplicate) The Multi Active Toner! My skin could really use the Multivitamin Power Firm! PreCleanse! It's the very best! I've always wanted to try this brand! I hope I win! The Skin Hydrating Booster. My skin is dry. The skin hydrating booster sounds great! Multivitamin Power Firm. I'm getting older and this is exactly what I need. The Power Firm - my body is changing like crazy. The Toner! I've been dying to start using a daily toner but can never find one I like! I'm looking forward to trying the Skin Hydrating Booster. I'm most excited to try the Skin Hydrating Booster. I need to integrate a serum into my routine and this sounds perfect. I want to try the Multivitamin Power Firm. Most interested in the Skin Hydrating Booster. Always looking for better ways to moisturize my skin. I'd like to try the Precleanse. I'm very interested in the Precleanse. I would love to try the Daily Microfoliant or the Multivitamin Power Firm. The Microfoliant sounds like something perfect for my skin! Precleanse. I swear just using cleansers only doesn't get everything all the time.